HUGE news for anyone who ever looked at a Trey Anastasio concert and wished they were in among the audience!! Your chance is here, as the Phish frontman goes on the Paper Wheels North American tour with the Trey Anastasio Band!! Tickets are NOW available for the unmissable show at The Wiltern on Tuesday 31st October 2017! Don’t miss out – grab your tickets NOW while they last!! The jam music legend is hugely enthusiastic about his upcoming tour with TAB, stating; “I’m excited for all of it, honestly. It’s just as fun as it ever was, when we were young traveling around in a car. Possibly even more so, because as the years go by I get more perspective. I can see more clearly how fast this is all going, how the years fly by…. It’s crazy – you’d think after 35 years there would be some rhyme or reason to it, but there is not. That’s the beautiful thing about it. Well, what are you waiting for?? 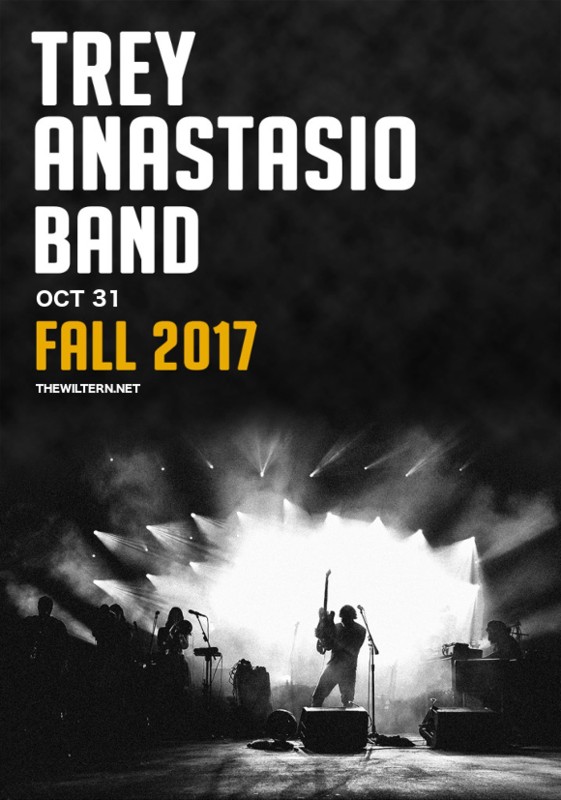 Grab your tickets to see the Trey Anastasio Band live TODAY! !